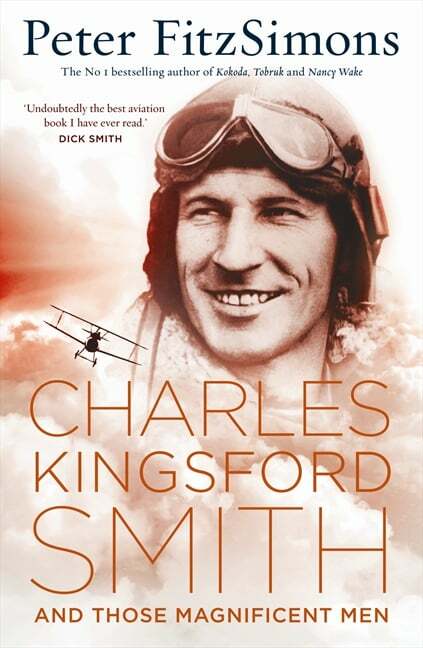 Sir Charles Kingsford Smith is one of Australia’s most loved heroes. In an action-packed life, the indomitable ‘Smithy’ went from fighting as a soldier amid the carnage of Gallipoli and the Western Front to taking to the skies against the likes of the Red Baron – for which he won the Military Cross for gallantry – before becoming the greatest peacetime aviator of his generation. Along with Charles Ulm, he was the first to conquer the Pacific by air, the first to fly across the Tasman Sea, the fastest to fly from England to Australia, and the first pilot to circumnavigate the globe by crossing the equator. With typical flair, FitzSimons also tells the story of several breakthroughs, some made in Australia, which laid the foundation for the Wright brothers’ success in 1903; the first flight across the Channel in 1908; Germany’s Red Baron terrorising the Allies in 1917-18, before being shot down by an Australian; Ross and Keith Smith’s first flight from England to Australia in 1919; the formation of Qantas in 1921; Lindbergh’s stunning vault between America and Europe in 1927; the Great Centenary Air Race; the loss of the Southern Cloud; the saga of Bert Hinkler and much, much, more . . .